Mollie Farrell oversees the training, mentoring and career development of all Greensfelder attorneys. She works closely with leaders from each practice group on the achievement of professional development goals across the firm and oversees evaluation processes. 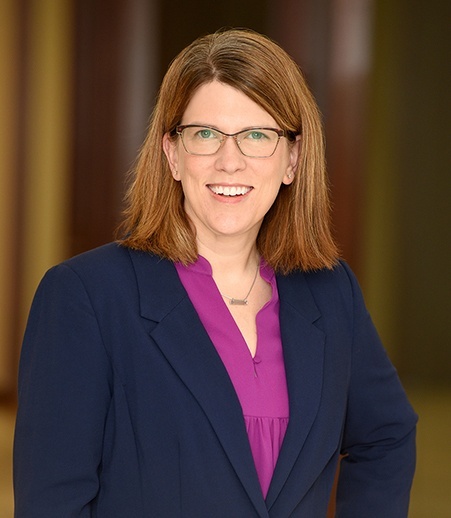 Her duties include working with other firm administrators on policies related to training and retention, coordinating mentor programs and counseling attorneys on career development. Before joining the firm, Mollie was a career advisor at Washington University School of Law in St. Louis. She is a former assistant chief counsel for U.S. Immigration and Customs Enforcement, where she litigated cases on behalf of the government in immigration court. She also worked in private practice as an associate at a Washington, D.C. law firm and, before law school, was a recruiter for a large management consulting firm.